Friday, August 30, 2013, Letty Coppel Foundation receives recognition for its support to the Amigos Teletón Club in Los Cabos. Posted by admin in Social Assistance on 08 30th, 2013 | Comments Off on Friday, August 30, 2013, Letty Coppel Foundation receives recognition for its support to the Amigos Teletón Club in Los Cabos. On August 29, the Foundation Letty Coppel handed 50 scholarships for disabled children and 20 for older adults on Germán Evers court in coordination with DIF. as every month the foundation gave out these supports for families benefited from this program. Tuesday, August 27, 2013, Letty Coppel Foundation celebrates the day of the grandparents. Posted by admin in Social Assistance on 08 27th, 2013 | Comments Off on Tuesday, August 27, 2013, Letty Coppel Foundation celebrates the day of the grandparents. 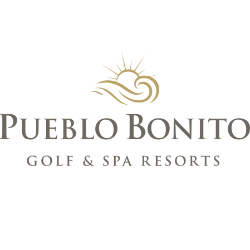 Saturday, August 24, 2013, The Letty Coppel Foundation distributes school supplies at the Pueblo Bonito Rose Hotel in Cabo San Lucas. Posted by admin in Comunity Development on 08 24th, 2013 | Comments Off on Saturday, August 24, 2013, The Letty Coppel Foundation distributes school supplies at the Pueblo Bonito Rose Hotel in Cabo San Lucas. Friday August 23, 2013, the Letty Coppel Foundation supports with school supplies in the popular colonies of Cabo San Lucas. Posted by admin in Comunity Development on 08 23rd, 2013 | Comments Off on Friday August 23, 2013, the Letty Coppel Foundation supports with school supplies in the popular colonies of Cabo San Lucas. Posted by admin in Newspaper archive Los Cabos on 08 23rd, 2013 | Comments Off on Recognition to the Letty Coppel Foundation. Tuesday, August 20, 2013, The Letty Coppel Foundation supports the children of the collaborators with school supplies. Posted by admin in Comunity Development on 08 20th, 2013 | Comments Off on Tuesday, August 20, 2013, The Letty Coppel Foundation supports the children of the collaborators with school supplies.